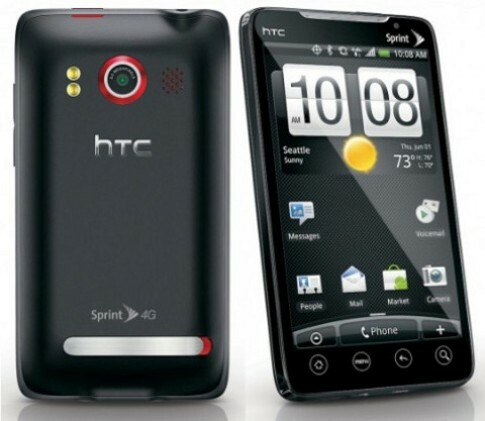 HTC EVO 4G has been officially released and there seems to be some issues such as previously mentioned issues like weak WiFi signal and SD card storage bug issues. Just recently, some tech savvy owners have discovered that something unusual on its frame rate that being capped at maximum of merely 30 fps in both 2D and 3D video test using Canvas and OpenGL respectively. According to those online users that have been playing with both Android 2.1 and latest 2.2 (Froyo) version, the effect seems to be more visible on the latter especially when trying to run animation at those higher than 30 fps. Even if not doing animation test, basic menu and webpage scrolling appeared to be slightly slower even when compared to relatively lower end HTC Hero or other Samsung smarphones. And according to the Android framework engineer that responded to the forum thread, there shouldn’t be any reason for it to be capped at 30fps and in actual fact, the targeted frame rate is at 60 fps, which further lead to firmware instead of hardware issue. The reason of why this happened is still unknown but some users are plagued and think that it is unlikely to be due to inferior hardware performance as both the Nexus One and HTC Evo 4G supposed to be equipped with the most powerful hardware components such as processor, RAM and graphics core. Especially when comparing to HTC Hero that has less impressive hardware specifications but doesn’t seem to suffer similar frame rate issue which again pointed this to software or firmware issue that is less serious and relatively easier to be fixed hopefully with OTA (On-The-Air) update.